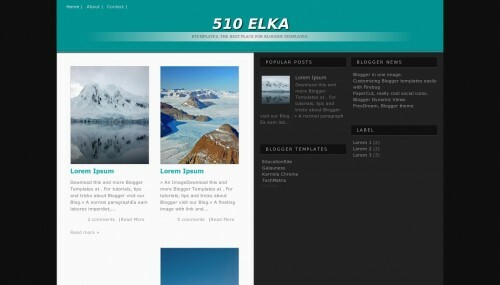 Template Blogger Blogspot 510 Elka is a free blogger template with 3 columns, right sidebar, exclusive design for Blogger, footer columns, posts thumbnails and well formatted threaded comments. Excellent layout for blogs about any general topic. Posting Terkait "Template 510 Elka"